The 2011 Frankfurt International Motor Show saw the second generation Mercedes-Benz B-Class being showcased. Unlike its predecessor, the B-Class now started to share engines and parts from other models, with the only difference being that these were mounted transversely in order to reduce costs. In the 2014 Paris Motor Show,Mercedes-Benz launched the face-lifted B Class, which will be launched in India on March 11;2015. Mercedes-Benz seem to be on a roll since this is the third launch of 2015, after the diesel C-Class and the C63 AMG. Like its predecessor it will initially be brought as a CBU since it is speculated that Mercedes Benz India plans to expand in India with the facility in Chakan (Pune) that specializes in the local assembly of the new compact Mercs i.e. the A, B, GLA and CLA Class. The new 2015 B-Class, looks unmistakably like a Mercedes-Benz since it now integrates itself into the Mercedes-Benz lineup by adopting its new design language. The front and rear bumper have been redesigned, LED headlamps with integrated daytime-running LEDs along with LED tail lamps, new alloy design and a bold front grille. A very subtle design feature is that the rear tailpipe is concealed by a chrome strip. The new car is also 34 mm longer than the original.On the interior, it now has an ambient lighting with a 12 colors palette as optional and a 8-inch COMAND touchscreen along with few carbon fiber finishes, metal inserts, black and chrome laced upholstery, powered seats with memory function, electrically adjustable lumbar support for the forward occupants and a panoramic sunroof. Under the skin, the power trains are the same with a 1.6-litre petrol variant that pumps 120bhp and 200 Nmof torque. The 2.1-litre diesel variant produces 107 bhp and 250 Nm of. As in before, both the engines transfer power to the front wheels through a 7G-TRONIC automatic transmission system. In a country like India, the B-Class comes with an arsenal safety features with seven airbags, ESP, adaptive braking, brake assist just to begin with. The car is designed for tall people as well as provides rear passengers with adequate rear leg room. However, the B-Class has upright seats that may become uncomfortable over long distances and there is an absence of rear AC vents. The boot has 488 litres of storage volume. The B-Class was known for being a good cruising machine, and this one is with the car being relatively stable at 100 kmph and the engine is also much responsive. To make things better there is almost no cabin noise at high speeds. Mercedes also claims that the car can hit a top speed of 210 kmph which is brilliant. 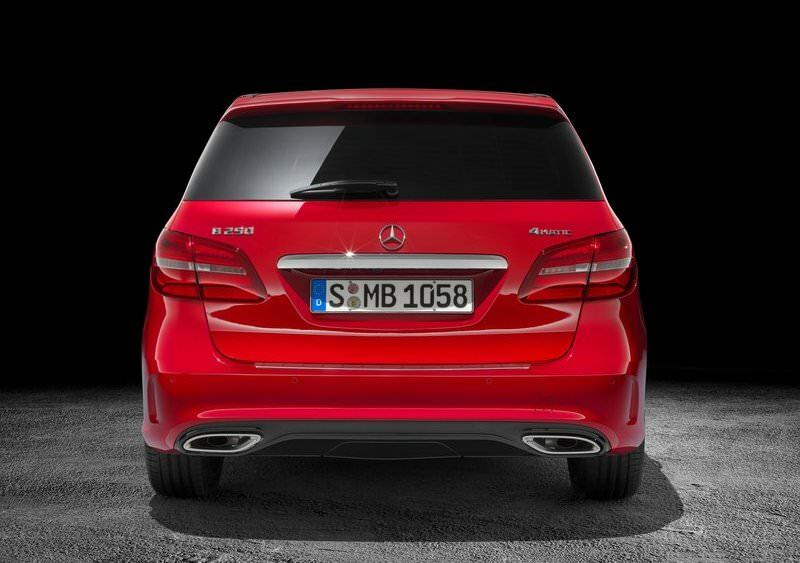 The new B-Class will roll in into showrooms from March 11. 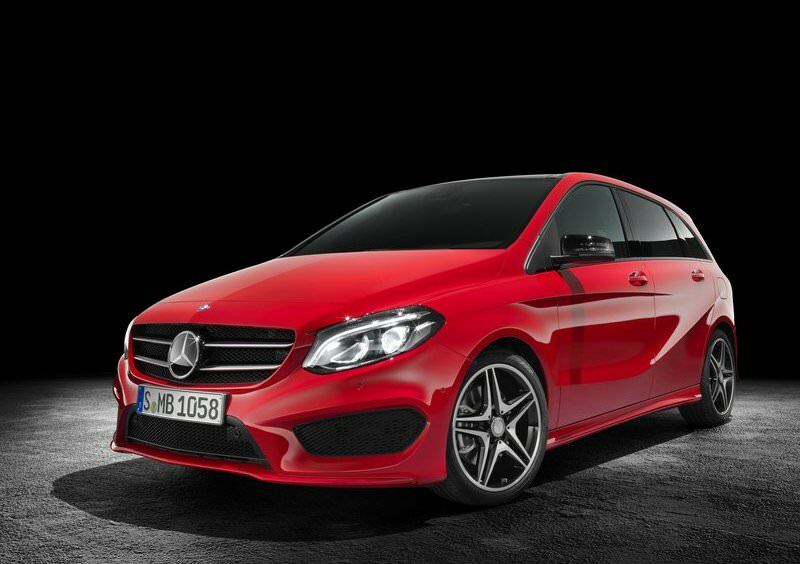 On paper the B-Class has more equipment, has better looks and a powerful, refined and frugal engine. The B-Class now has is a proper luxury car with a lot of storage space. Mercedes-Benz India also introduced the A-Class Model Year 2015 featuring a new powerful diesel engine offering more power and performance for the customers. The A-Class is now available in A 180 SPORT and A 200 CDI SPORT variants, both of which now feature a panoramic sunroof as standard, offering even more luxury to customers. The enhanced new A 200 CDI Sport produces an impressive 100 kW (136 hp) of power at 3600-4400 rpm and a torque of 300 Nm at 1600-3000 rpm. The new A-Class ensures an enhanced and comfortable ride quality as it now features an India specific suspension developed specifically for the Indian roads conditions. The MY 15 A-Class now features stylish 40.6 cms (R16) 5 twin spoke light alloy wheels. Additionally, seat comfort package featuring electrically adjusted lumbar support for passenger seat, a matrix look trim, beltline trim strip in chrome, sport seats with ARTICO Messancy fabric and a contrasting top stitching will enhance the luxury quotient to the MY ’15 A-Class.